Are you looking for a cheap accommodation, in a young and friendly atmosphere, in a central location where you can relax and share the experience of visiting the most beautiful city in the world? A hostel where you can have the opportunity to meet other young people in a spirit of friendship, dialogue and peace? 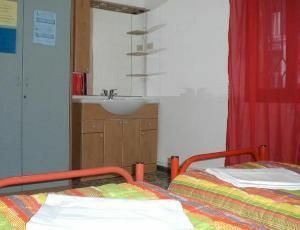 Ostello Santa Fosca is the hostel for you! We offer basic rooms at very affordable prices. Kitchen use and the guest fridge are only available during the summer season from 8am to 10am and from 1.30pm to 11pm. So you can make breakfast, lunch, dinner or just have a break when you prefer. We're open all year and are linked to a university residence that, during the summer, greatly increase the number of beds we can offer. We welcome group bookings. From here, all the monuments and important places in Venice can be reached on foot. We’re 10 minutes on foot from the train station, 10 minutes from Rialto, 15 minutes from St Mark's Square and five minutes on foot from the Ghetto. All the important places in Venice are nearby! From Piazzale Roma on foot: Reach the train station by crossing the Ponte of the Costituzione (Calatrava Bridge) and go by the station (on the left). Carry on straight along Lista di Spagna. Cross the first bridge (Ponte delle Guglie) and continue straight until Rio Tera S. Leonardo. Cross another bridge and carry on straight until Rio Tera della Maddalena. Cross a third bridge; after few meters you'll arrive at Campo Santa Fosca on the left (recognizable by a statue of a pedestal to Paolo Sarpi); leaving the main street, cross the square, go over the bridge behind the statue and turn immediately to your left. At the end of Fondamenta Canal you'll find the entrance of the Ostello Santa Fosca. Welcome! From Piazzale Roma or Railway Station by boat: Take Line 1 towards Rialto. Get off at S. Marcuola. Following the street you join Rio Tera S. Leonardo. Turn right, cross another bridge and continue straight until Rio Tera della Maddalena. Cross a third bridge; you'll reach Campo Santa Fosca on the left (recognizable by a statue of a pedestal to Paolo Sarpi); leaving the main street, cross the square, go over the bridge behind the statue and turn immediately to your left. 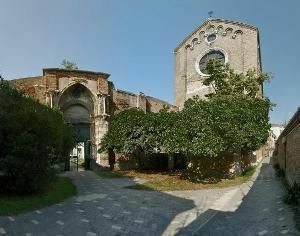 At the end of Fondamenta Canal you'll find the entrance of the Ostello Santa Fosca. Welcome!